Friday’s here again. Check out this shot of Todd wheelin’ around in the Jamaican Blue Mountains. Looks a little warmer than it feels in Philly today. 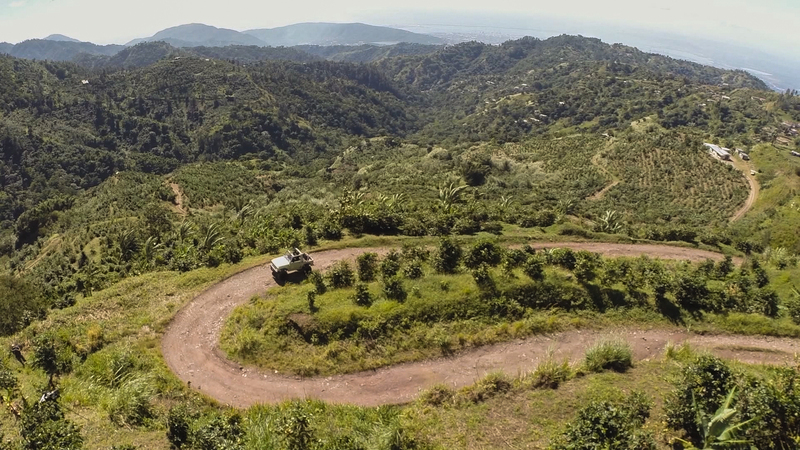 We can almost hear the wind in the coffee trees and feel the warm wind blowing through the Jeep windows. Start planning your next escape, folks – it’s good for the soul. Wanna try Blue Mountain coffee? Check out our new Papua New Guinea single-origin – it’s the same variety as the famous Jamaican beans.